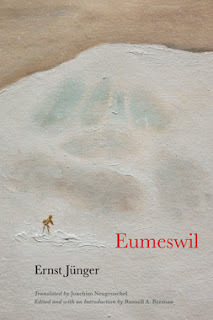 Telos Press has just announced their newest Ernst Jünger publication: a republication of Eumeswil in the superb original Neugroschel translation!! This is, in my opinion, their most important contribution yet to the dissemination of an author so under- and misread in the Anglo-Saxon world. For years now the original Marsilio publication (Eridanos Library, 1993) has been unavailable, or at least unavailable at normal prices, since single copies occasionally appeared on Amazon for $300 or more. Apparently there is demand, which underlines the importance of Telos making this "bible" of mature Jüngerian thought available to the normal reader at only $26.95. 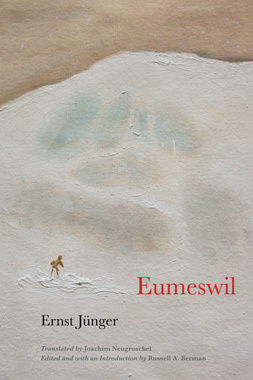 But most importantly, this new Eumeswil makes the author's critical concept of the anarch again accessible for study and discussion through the life and reflections of its protagonist and proto-anarch, Martin Venator.